ConceptDraw DIAGRAM supports the import of MS Visio 2003-2010 VSD files. ConceptDraw DIAGRAM supports import of the Visio 2003-2010 native VSD format as well as Visio XML format (VDX). Thus, if you need to open VSD, or VDX file, created in MS Visio 2003-2010, you can simply use ConceptDraw DIAGRAM Import options. Another way to open Visio VSD files with ConceptDraw DIAGRAM on Mac and PC is using an online Visio File Converter. 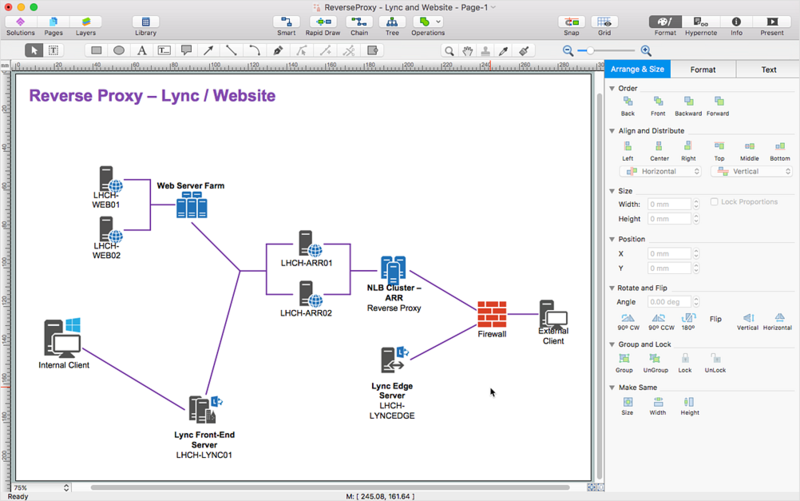 It is a free web service available to anyone who has a requirement to open Visio (VSD) documents in ConceptDraw DIAGRAM. It is helpful when you need to convert several Visio files at once. Thus, you will be saved from the boring process of opening-exporting a bunch of files one by one. ConceptDraw Converter transfers files from Visio binary file format VSD into ConceptDraw DIAGRAM (CDDZ) files by means of the web-based software tool. To use our free online conversion service follow these simple steps. Sign In/Sign Up on www.conceptdraw.com. Click your user name, then in the User menu, select My ConceptDraw. Open the Online Services page. Click the ConceptDraw Converter icon to open it, or press the "Upload" button to immediately start the conversion. The Converter's window contains a list of uploaded files and their statuses (pending, converted). Here you can upload files for further conversion and download converted files. Note: Files uploaded and converted will be available for download within 30 days. Then the files will be deleted. You will be notified of the upcoming removal 1 day before. The notification will be sent to the email address associated with your ConceptDraw account. Result: If you want to open a VSD document on the Mac and you do not have Visio available, ConceptDraw Visio File Conversion service can help you.